On March 19, 2019, the Norwegian Academy of Science and Letters awarded the 2019 Abel Prize to Dr. Karen Uhlenbeck. MSRI extends its sincere congratulations to Dr. Uhlenbeck, who has served on the MSRI Board of Trustees from 1981-1990 and again from 2012-2016. 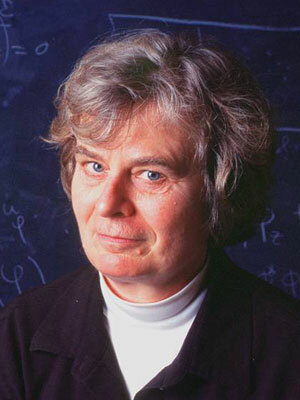 With the support of MSRI, Celebratio Mathematica has created a wonderful online biographical volume on Karen Uhlenbeck, featuring her life story, her foundational contributions to mathematics and physics, and her thoughts on being a mathematician. On the happy occasion of her Abel Prize award, MSRI invites everyone to visit this site, to get to know Karen Uhlenbeck better, and to celebrate her many achievements. Karen is that rare mathematician who ventures into new areas, bolts directly to core issues, and then proves fundamental theorems which open up novel pathways. Her work is a guiding light for others: beautiful mathematics that leads to more beautiful mathematics. In a much broader sense, Karen is also a guiding light and an inspiration to generations of younger mathematicians. The Abel prize is a wonderful and fitting recognition.